The size of the Log Cabin makes it extremely versatile for whatever use you have in mind with a spacious and attractive interior. 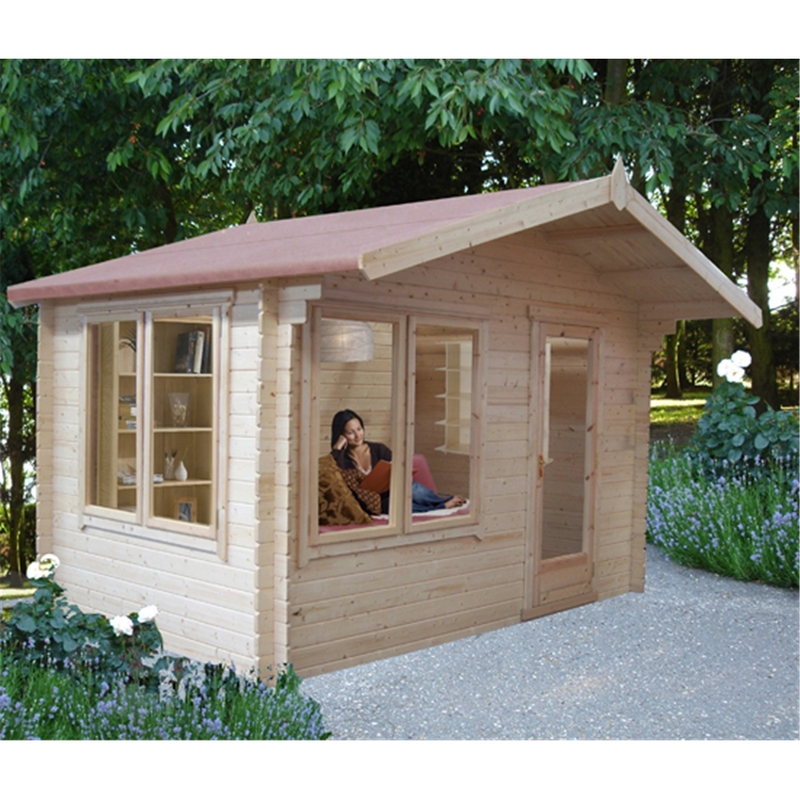 You can be assured that the Log cabin will provide a luxurious garden building that not only looks great but provides a relaxing place to spend your time too. Once inside you cannot fail to notice the quality of the timber walls that instantly give you a comforting feeling and the thick roof beams provide a impressive feature within the log cabin. The full glazed single door and double windows provide plenty of natural light as well as complementing the design of the building. All windows and doors are produced with handcrafted joinery and are fitted with the draught seal system ensuring that you are kept snug during those winter months.